Ecosia search engine plants trees every time you click! Ecosia is a new Search Engine that works exactly the same way Google does but with an eco-friendly service. 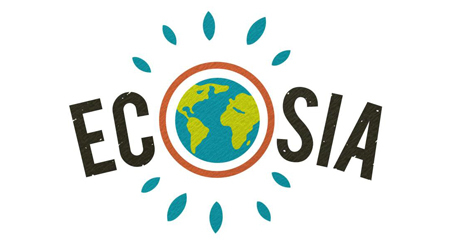 Ecosia donates up to 80% of its advertising income to a programme that plants trees. You can help make the planet a little greener and don’t have to change the way you search the Inter Webs! You don’t have to change the way you search for online content with specific keywords and key-phrases. Once you download the Ecosia Chrome extension, you’re ready to go. More than 4 million trees have already been planted. The potential is huge. Imagine the positive results you can help to achieve by switching to Ecosia and promote them as the Search Engine of choice! Lets get everyone we know to switch! If you want to keep track of the incredible work they are doing (and you of course), or where the money is going, just follow their regular monthly updates on their website. Thank you in advance for helping to improve our environment one search at a time.